It looked like a healthy bunny with beautiful fur to me. I am looking forward to discover more critters in this new neighborhood, and I am sure you will be tired of reading about my new condo neighborhood. Self defense though, condo living was quite different than I had previously thought. 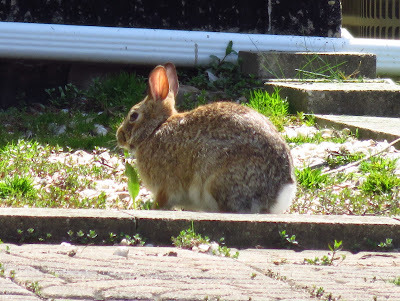 we have too many bunnies in our yard, nice photos. This is a good one. I love rabbits. My little town is full of them. Your bunny runs a little bit slow this week. 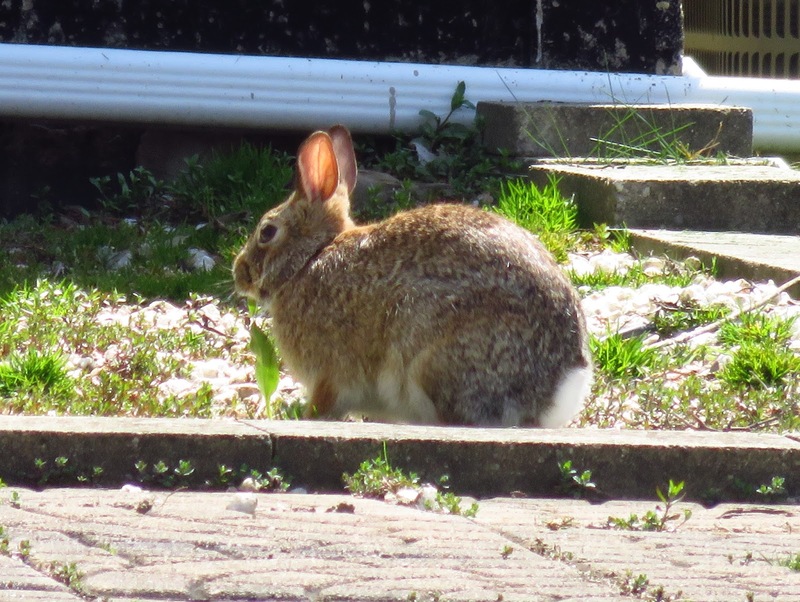 We have a lot of rabbits and some folks consider them a pest. I LOVE them!